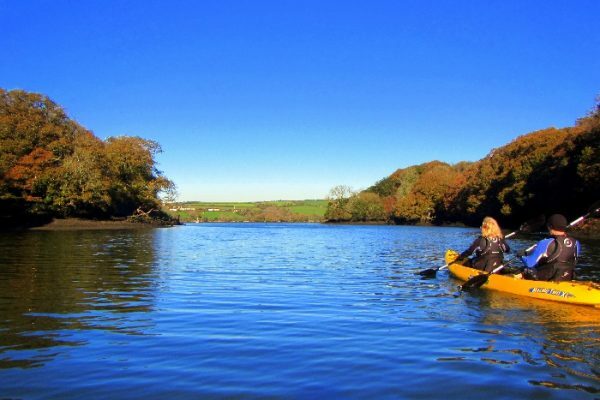 Frenchman’s Creek is peaceful and stunning inlet off the Helford River which offers a rich array of sights from the kayak. 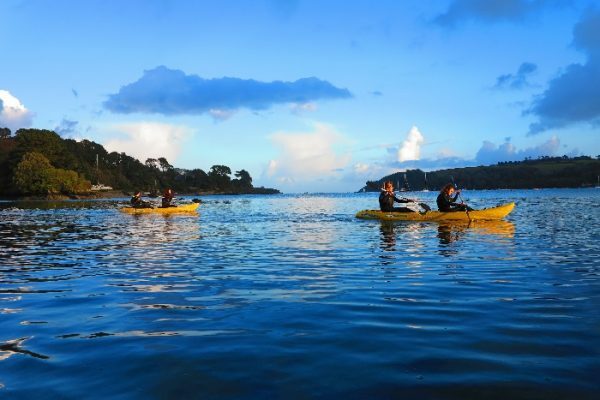 The Koru adventure starts from Budock Vean Hotel private beach where we head towards the Helford Passage passing sailing boats and banks of ancient oak forest. 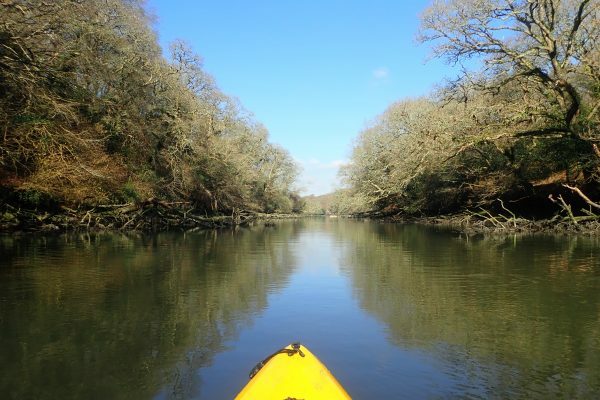 Paddling across the The Helford we enter Frenchman’s Creek, the inspiration for Daphne du Marier’s novel ‘Frenchman’s Creek’. The serene surroundings on calm waters are amazing with shipwrecks and secluded beaches situated on the creek. 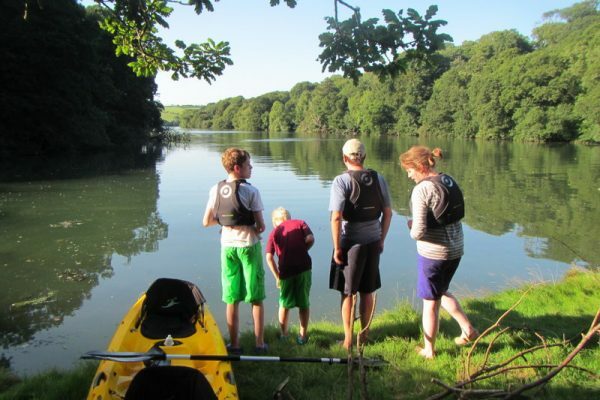 On sunny days there is an opportunity to swim in the soft waters of the creek, before paddling back to Budock Vean. 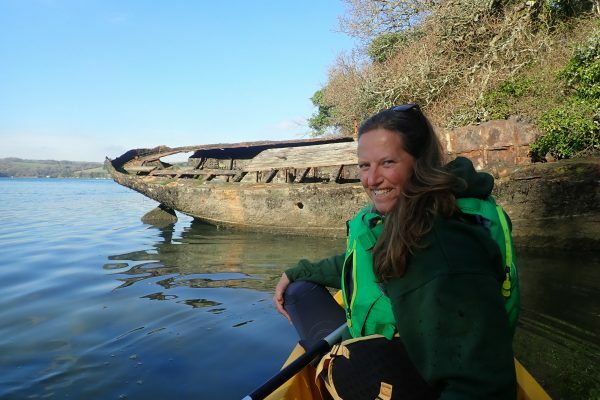 "Follow the Ancient Route of Smugglers by Kayak"
Before we start the kayak adventure the guide will go through a detailed safety briefing with all participants and a health questionnaire will also have to be filled out. Children have to be accompanied by a parent or legal guardian and the guide will determine whether the sea conditions are suitable for children. Safety is our number one priority. 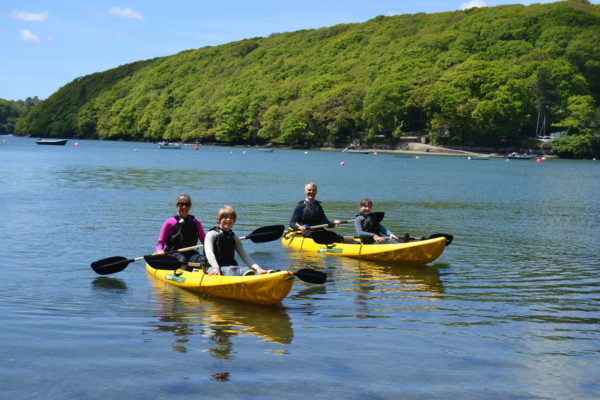 Kayaking requires a reasonable level of fitness and if you are unsure, please contact us. 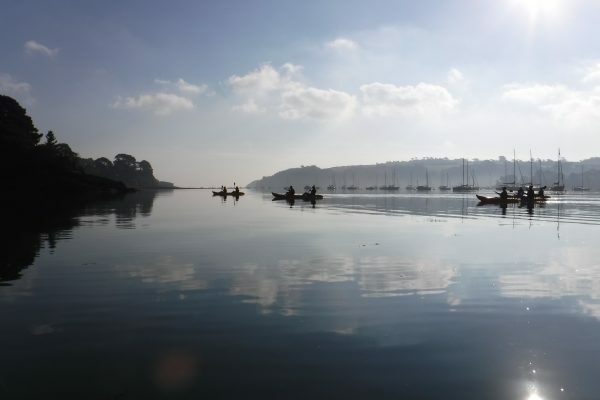 On the morning of any kayak adventure we will check sea conditions and determine whether it is suitable to go kayaking. The guide takes safety equipment, including a marine radio, flares and a First Aid kit on all kayak adventures. Before kayaking everyone will fill out a Health Questionaire so the Guide is aware of any medical situations. 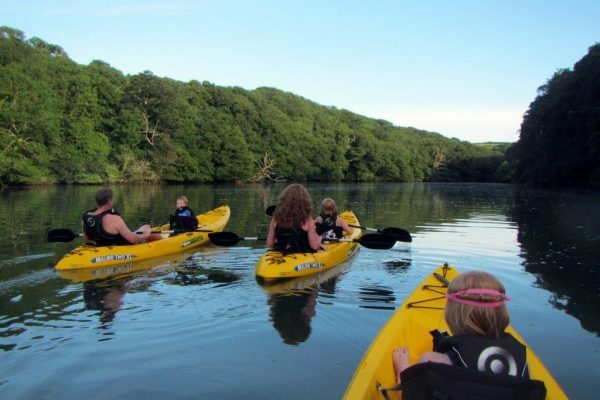 We use Malibu 2XL Ocean Kayaks, which are Sit-On kayaks and a lot of fun in coastal waters. We provide buoyancy aids, paddles, bottle of water and on colder days a flask of hot chocolate. We also have wetsuits and wetsuit boots available to hire. The guide will take a camera on the adventure and photos are available to purchase as a USB or DVD. 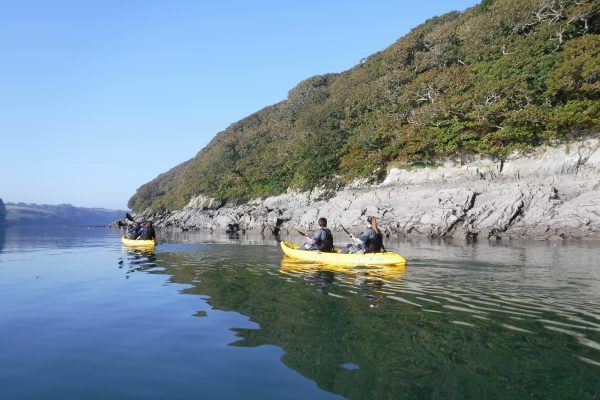 Koru Kayaking runs kayak trips from February through to December when weather conditions permit. We have start times of 10am, 1pm and 4pm. Times may vary due to tide times and sea conditions. Please book in advance to get exact times and to avoid disappointment. 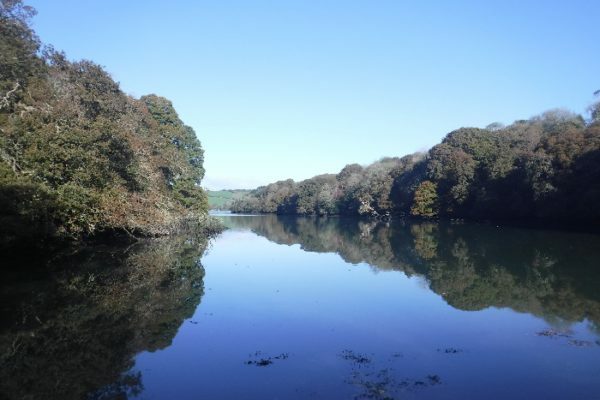 Budock Vean Hotel, Helford Passage, Mawnan Smith, Nr Falmouth, Cornwall, TR11 5LG. Meet us at the hotel foreshore which is TEN MINUTE stroll from the carpark. Here is a video – How to get to the foreshore. Head through the hotel past reception, down across the lawn and follow the road down to the foreshore. 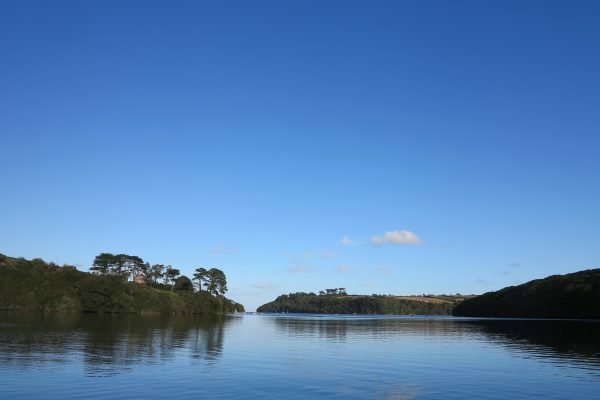 Public Transport – The No 35 Bus drops off passengers 1/4 mile from Hotel and goes to Falmouth & Helston. 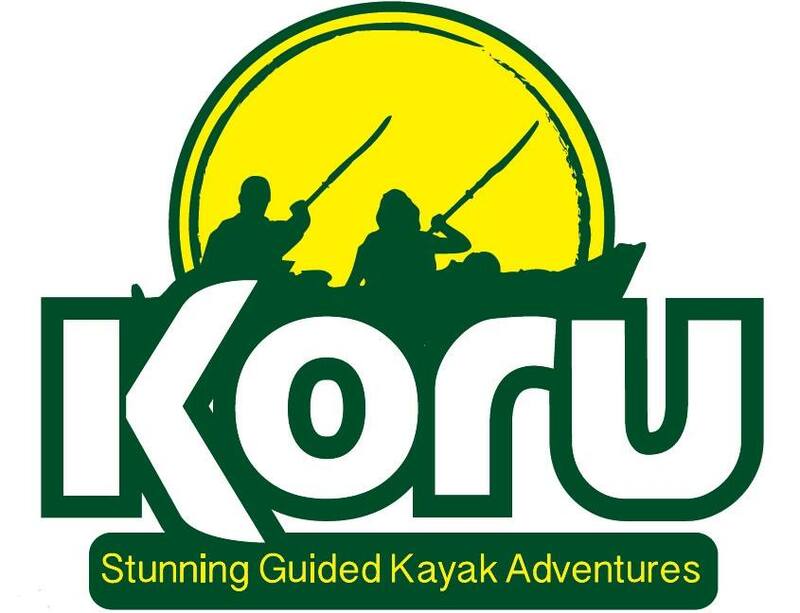 Koru Kayaking strives to be sustainable and we have a policy of collecting marine litter on all our kayak trips. 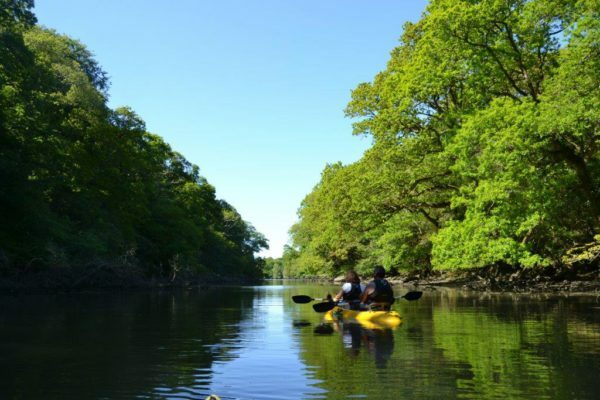 We use re-usable water bottles and our kayaks are of an excellent quality and well maintained and can be used for many years. We support the charity Surfers Against Sewage and no fuel is used on the tours as the kayakers are the motors.